The wrapper is dark brown with some lighter mottling. There are a few raised veins present but the seams aren’t really visible at all. The head appears to be finished off with one deep cap and one shallow cap. 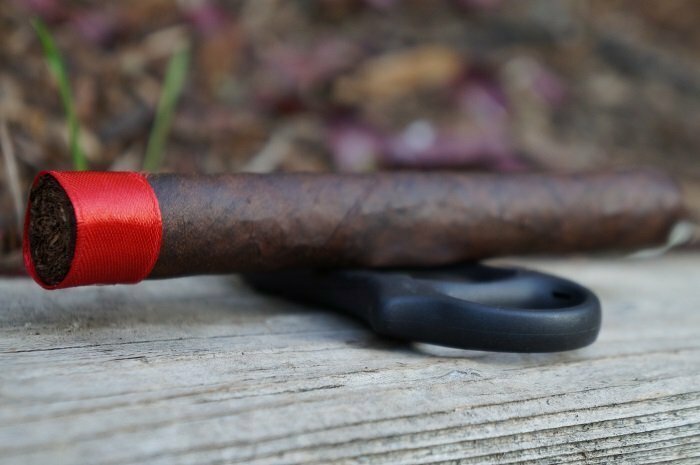 The only band on the cigar is a red ribbon at the foot which goes along with the theme of the cigar and keeps the same type of layout as the other regional cigars from the brand. The aroma from the wrapper is very much like pipe tobacco and carries a stewed stone fruit aroma. The foot presents the aroma of mushrooms. The pre-light draw reminds me of filo dough before it’s cooked. 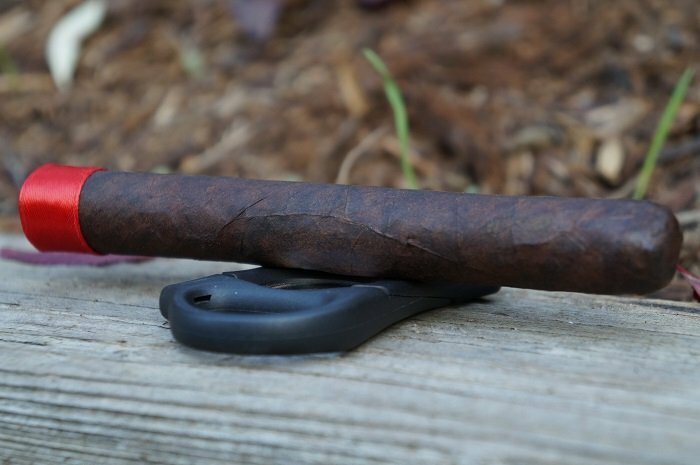 The Crowned Heads Buckeye Land has a fairly dry (non-oily) maduro wrapper shade. Major veins are fairly well pressed, seams tight, bunch and roll even and head finished off with a thick double cap. Nosing the wrapper tells rich cedar. Nosing the foot gives dry barnyard, cedar and a plethora of roasted nuts. Cold draw gives hay, cedar and creamy cherry candy. The cigar begins with cedar, a pretty full baking spice and some mustiness. At a half inch in, the cedar has transitioned to oak and the baking spice has mellowed slightly while the mustiness has maintained itself. At an inch in, a fair amount of creaminess joins the profile which eases the baking spice some more. I can barely retrohale the cigar as it has an intense baking spice note to it with a fairly significant zing. At an inch and a half in, the baking spice becomes very faint in the background while the oak is up front and the cream and mustiness are slightly behind. The retrohale is still baking spice forward, but tame enough that I can do it more frequently and detect the oak and mustiness behind it. As the third comes to a close, the profile is creamy oak along with some mustiness and a very faint baking spice. The strength in this third was right at medium. The first third’s flavor profile is all about chocolate and black pepper spice. There’s also cedar, and as expected soil/dirt component based on the Mexican San Andres wrapper. Retrohaling gives a pretty good stinging black pepper sensation as well as a natural creamy nuttiness. The finish is medium in length with cedar and soil/dirt. Strength is medium-full and body is medium. As the second third begins, the profile has become fairly light with the creamy oak and mustiness while the baking spice is no longer present. At three quarters of an inch in, the oak gains a toasted note to go along with the cream and mustiness. The retrohale still carries some baking spice with the musty oak right behind it. As the third comes to a close, the toasted note has transitioned to char. The cream has dropped out but the mustiness remains. The retrohale now carries this same profile. The strength in this third remained at medium. The second third is where I feel like the cigar hits it’s stride. The cigar just ups its flavors in just about all aspects (chocolate, black pepper, cedar, soil/dirt). Strength and body is still medium-full and medium, respectively. As the final third begins, the char is now very faint to go along with the oak and mustiness. At a half inch in, the char has increased slightly. At an inch in, some cream has returned which has knocked down the char a bit. The retrohale also carries the creamy and charred oak along with some mustiness. 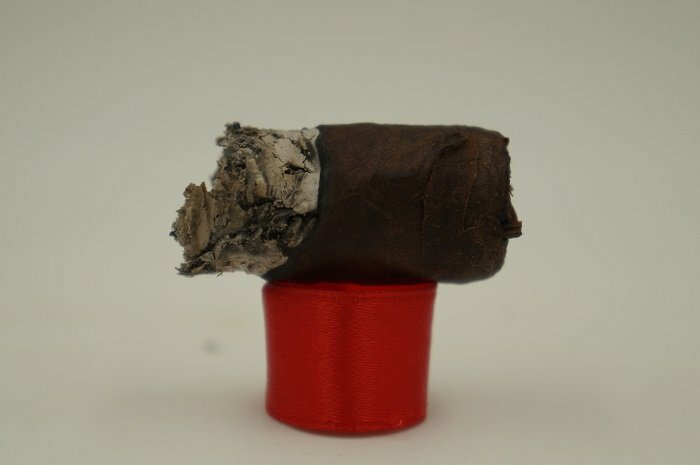 At an inch and a quarter, the cigar begins to warm up which brings a slight mintiness to the profile. 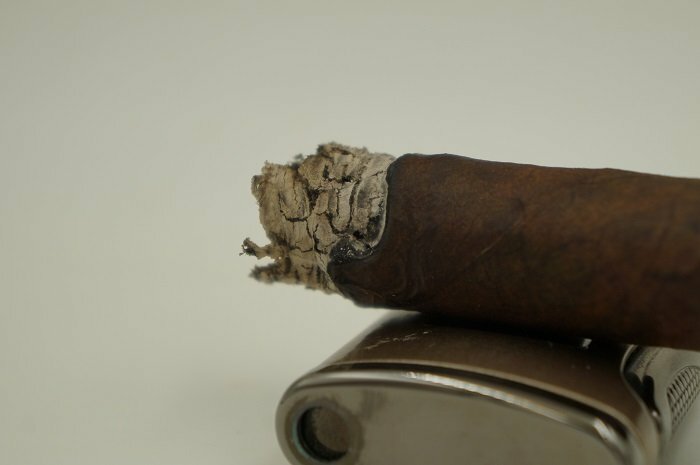 The cigar finishes out with this same profile. The strength in this third remained at medium. The last third is still very tasty with the same profile (chocolate, black pepper, cedar, soil/dirt). There is one big difference though, the strength is full throttle max starting from around the beginning of the last third. Body stays medium. The burn line was slightly wavy throughout. It did require a touch-up in the second third when the burn got too far off to correct itself. In the final third the cigar went out and required a re-light and at another point required frequent draws to keep it burning. The ash held on in one inch increments. Burn performance was a notch shy of perfect. A couple touch-ups were required to even up the burn. Other than that, ashes held on tight in 1 inch increments, burn temp was cool, smoke production a plenty. The draw was slightly tighter than I prefer but didn’t seem to cause any issues with the smoking experience. The first third consisted of cedar, later morphing to oak, some cream, mustiness and baking spice. As it got to the second third, the profile became lighter with just creamy oak and mustiness. The final third was primarily musty oak with some char. I was a bit surprised that the profile lightened up with the heavy tobaccos used in the blend. Construction was OK as there were some burn issues and strength was medium the whole way. 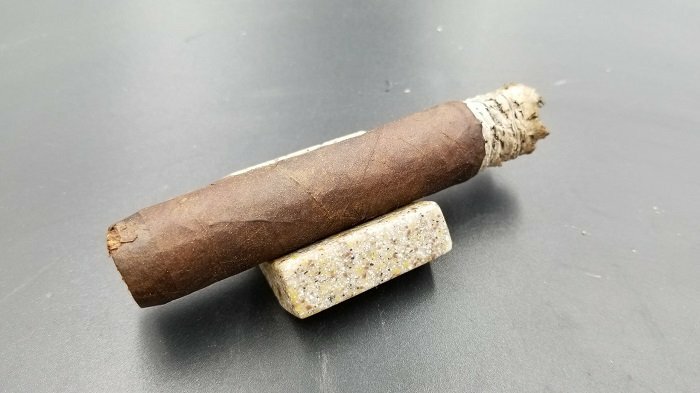 This is my first experience smoking a regional from the brand and I’m not sure I’d return to this one as it was a fairly average experience. 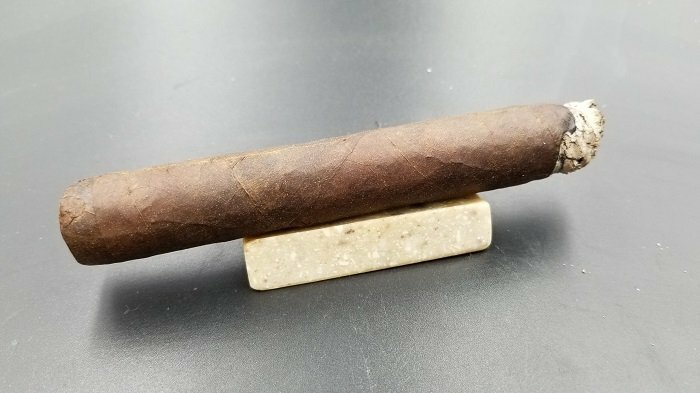 If you’re a Crowned Heads fan, you’ll want to give it a try to see what you think. The draw was perfect, striking the ideal balance between resistance and air flow. I’m seeing a personal trend in 2018 new releases. That is, the trend of very good Mexican San Andres wrapped cigars. Mexican San Andres wrapper is nothing new in the industry but I never paid much attention to it until this year (sounds a bit silly I know). 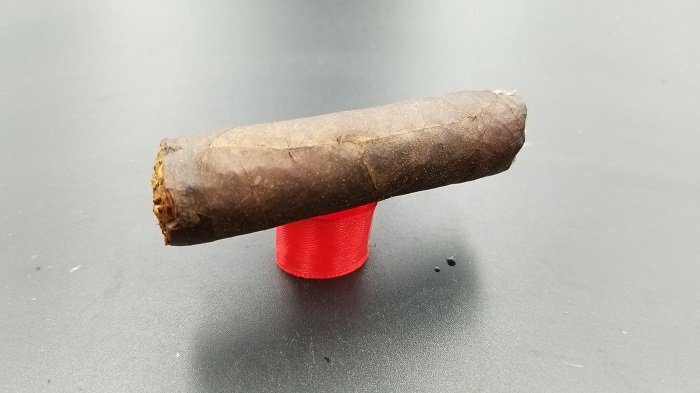 This cigar is a great example of that trend. 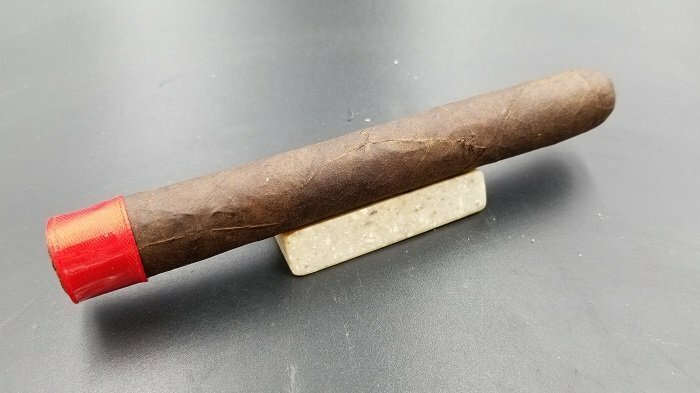 The Crowned Heads Buckeye Land is more straight forward in flavors (chocolate, black pepper, soil/dirt) but the number of flavors is not indicative of a bad cigar. 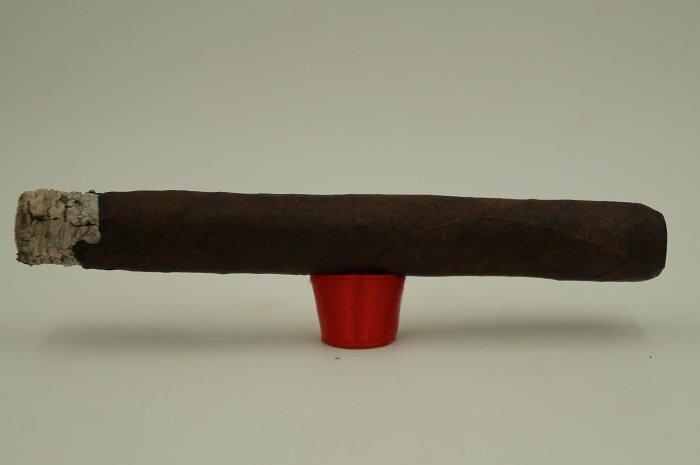 Quite the contrary, it is a straight forward approach to a great tasting cigar. Between this cigar and the Court Reserve XVIII Robusto, it’s safe to say Crowned Heads got Mexican San Andres on lock down this year. 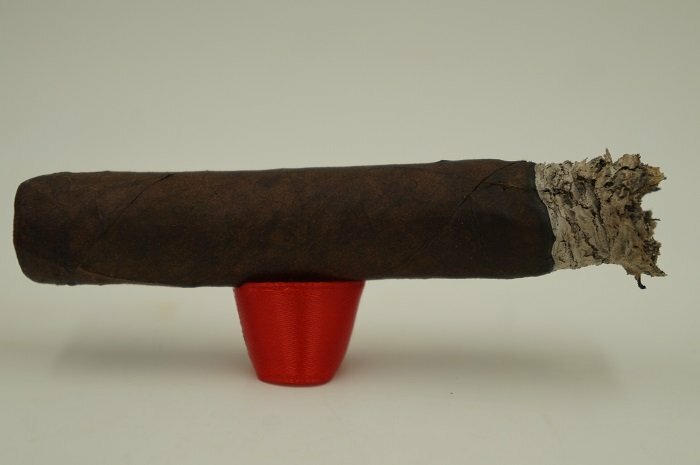 What cigar to date, would you say has the most mustiness (in a good sense) and cedar undertones in a nuanced manner? You could really explore the Davidoff portfolio if these are flavors you’re searching out. They have a signature mustiness to me that is present in many of their blends. I am going to seek to explore many of the cigars inside the Davidoff portfolio to be sure. What do you feel are some of their best blends to date that exhibit their signature nuanced funkiness/mustiness that are worth trying?